His footsteps will make my pathway. There is power on this path, provision on this path, protection on this path. Each footstep of Jesus was in the fullness of the blessing- so He healed them all, He delivered them all. And now I am walking on that same pathway. He made it for us. His word illuminates it. We can clearly see the path. Even if it may seem like there are monsters, boulders, bridges, and cliffs on our route, don’t trust your own eyes. He made the path, let His word show you the way. Sometimes the path looks scary because we are still leaning on or living in the flesh. We have to crucify our flesh, deny its lust and laziness. When we learn to die daily along the way, the final death isn’t scary anymore, there is no fear of death. Instead of looking at the end of the path as the grave, we see Heaven as the destination. 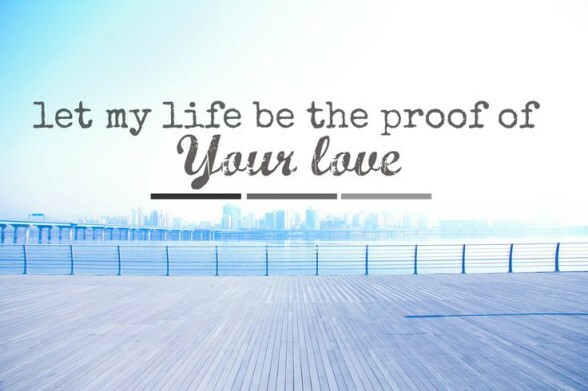 Who wouldn’t trade this life for an eternity with Him? Find His path. It isn’t hidden. Read your Bible, it points the way. See Jesus’ footsteps and walk in them. Follow His path to your forever home. Bless others on the way. Encourage the lost to join you. When we walk through those pearly gates, we won’t be alone. Last night I was woken at one by a heart wrenching wailing. At first I thought they were screams of pain, and I guess in a way they were. I opened my window to pinpoint the sound so that I would better know what to do. Right across the street a woman was howling and pounding on the window of the house. As I groped for my phone to call 911 another neighbor shouted, “What’s going on?” Her reply was, “My brother just killed himself.” I finished the call and cried. My husband and I prayed. My heart hurt for the family, that young woman, and the young man who thought that life was so bad, he took his own. How do you go back to sleep after that? I prayed some more. I thanked God that my children and grandchildren were safe. Then I asked God, “How many people committed suicide today.” Which led to, “How many were murdered, raped, abandoned, hurt, tortured, and left to die.” I didn’t receive an answer. So I asked, “Isn’t this breaking your heart?” Still no answer. As I thought about this hurting world, this evil world we live in, God reminded me of a blog I wrote recently. I had stated that asking God “why” when bad things happen is futile, what we should be asking is “What now?” Not the answer I expected, however, it was the one I needed. The more I thought about the evil in this world, especially suicide, the angrier I got. No, I wasn’t angry at God. But I was so filled with hate for the Devil. That old serpent who still deceives. His original lie in the garden is the same one he uses today. He still tells us that something is being withheld from us, something that is either unattainable, or that we have to somehow get for ourselves. He lied to that young man and told him, “No one cares, end your life and the pain will be gone.” That man believed that the only way to peace was at his own hand. He never found out the truth that someone does care, more than he could ever imagine and that that Someone could have brought peace into his life. I remember those lies. They used to be whispered in my ear as a young person. I had my battle with the spirit of suicide, the spirit of death, and I spent some time last night and today thanking God for staying my own hand so many times when I thought I couldn’t handle the pain anymore. Satin is evil. He has infected this world with his evil. BUT God is good! What exactly is a “Silent Witness” or a “Closet Christian”? To some it is the opposite of a so-called follower of Christ who beats them over the head with the word, or who spouts off scripture when a hug or a helping hand is needed, or even worse, blasts them with a fire hose when a refreshing drink is all that is needed, the ones who are afraid as coming across as “one of those” people. Honestly, in today’s world I can see the temptation to just keep your mouth shut and live right and hope someone asks you what is different about your life. However, if we are being honest, that isn’t what God has asked us to do at all. Yes, we live right. Yes, our life should be a living testimony of God’s love and forgiveness. Yet it is more than that. It has to be. Look at Matthew five again. We are to be a light that can’t be hidden. And in Matthew 7, Jesus tells us that a tree is identified by its fruit. If I am an apple tree, I should be bearing apples. If I am a light house, my light should be seen by every sinking and faltering ship out there in the perilous waters. Sometimes, most of the time actually, that involves speaking. We have to tell them who’s we are. Just living right isn’t going to get a single soul saved. Living a hidden Christian life, so as not to offend anyone, isn’t going to help bring anyone out of the darkness and into the light. If we speak boldly as we ought, if we shine that light on some sinful behavior, if we live right in the midst of a world living so…wrong, won’t we face some opposition, maybe even persecution. Yep! In fact that is one way that we will know we are living for Him. 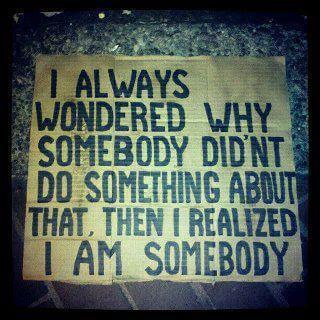 Who we are should be obvious. Again I know in today’s world that is a hard one. Today you can’t even use the once affective, “checking the body parts” to see if that seemingly genderless person is male or female. We can’t tell by the clothes, the makeup or lack of, we can’t tell by mannerisms, or really anything. We have become a world that wants no divisions at all, yet is so divided! So shouldn’t we live by a different standard? As Christians we want it to be obvious that we are male, or female. We want it to be obvious that we are hard workers, honest people, good parents, productive citizens, and fun people to be around. Shouldn’t it be just as obvious that we are His? I want people to know that Heaven is my home, that Jesus is my King, and that God is my Father. 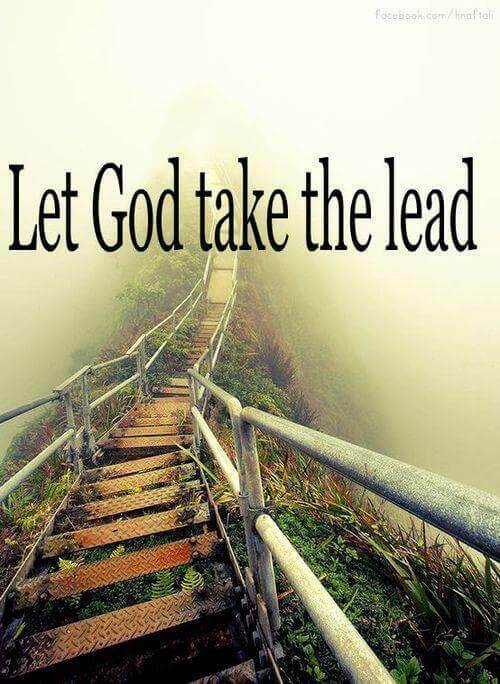 I want them to know that I am being led by The Holy Spirit, I have been washed by the blood, and that they can be too. There is no such thing as a closet Christian. Shouldn’t it be obvious who’s we are. Obviously! So many analogies have been given for this scripture; soup and stew are a few, and how you have to stir up all of the good stuff that has sunk to the bottom. I like to compare it to making jam and I have made countless thousands of jars. 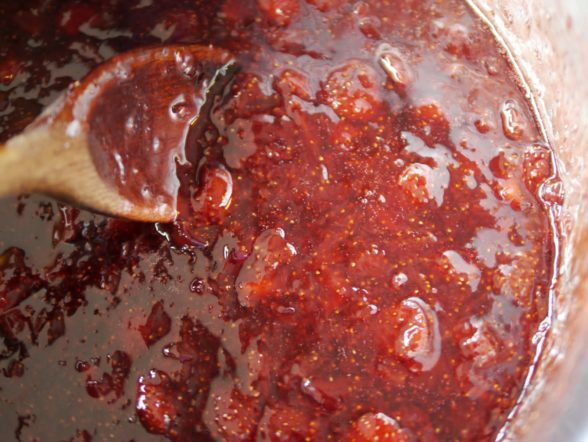 When you are making jam, you get to this critical point when everything is at a rolling boil, hot sugar and hot juice in a torrent of activity in your hot pan, it can look like molten lava rolling. When you reach this stage you are at the point of no return. You stand there and you stir! Phone rings, leg cramps, someone knocks at the door; you have to not be distracted. If you stop stirring, the jam is scorched, ugly, and ruined. Thankfully, this process only takes less than five minutes; in fact the rolling boil stage is only sixty seconds. But, believe me, when you have been standing over a hot stove, usually in the summer, and you are on your forth batch, that minute seems to take forever. When all is said and done, there is a great feeling of seeing all of those lovely jewel colored jars filled with bounty lined up in your kitchen that makes it all worthwhile. Isn’t it the same with the gifts God has given us? When we “stir them up” we aren’t letting ourselves get distracted. We are focusing on the Gift Giver and using them to line up those jewels (souls) for Him. What satisfaction comes from that. Maybe, your gifts aren’t so evangelic. Possibly your gifts are used in other ways. Saving a brother or sister from throwing in the towel, using hospitality to show love for your Pastors, feeding some hungry young families that feel stretched in ten different directions, all are part of the purpose of the gifts. Teaching those who need to know, giving to those with need, and leading in others. We lift up, support, and encourage one another with the gifts God has given us. We bless God, ourselves and others when we use them. And sometimes along the way we lead someone into the kingdom. What great gifts! Stir them up and keep on stirring. Nexus vibro the gay toy shop idickted.com.